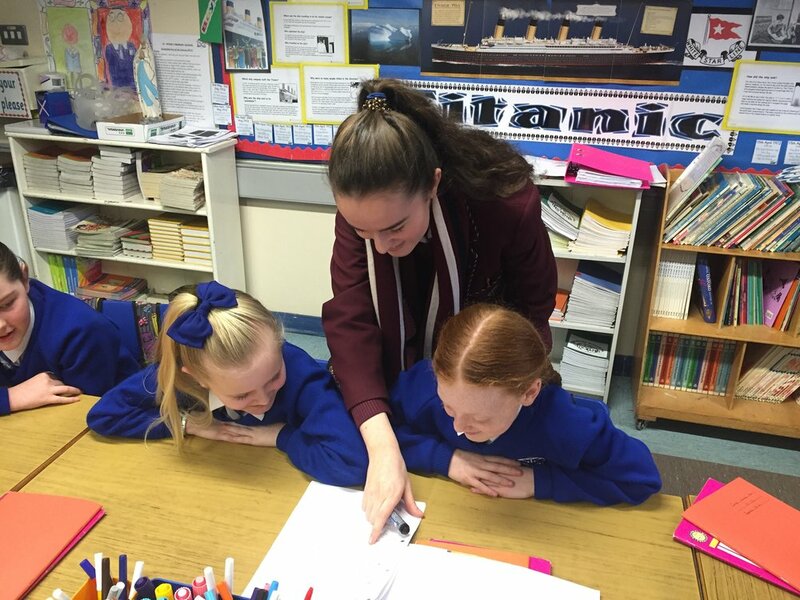 As an AS level Spanish student, a few of my classmates and I were given the opportunity to go to St. Peters Primary School and teach some of their students Spanish throughout this school year. My friends and I taught a primary 2, primary 3 and a primary 4 class each on a Monday morning during our free study classes. Two more of my classmates taught a primary 5 and a primary 6 class each on a Thursday morning. As current AS Spanish students we all found this experience invaluable. We were provided with a further way to ensure we knew as much basic Spanish vocabulary as possible and we were given the experience of what it is like to teach independently. We taught our pupils everything from numbers to weather and even included how to say your favourite animal. We all agree that this opportunity has increased our confidence both inside and outside the classroom. I feel that this experience has been extremely enjoyable and beneficial for all parties involved.